Just Don’t Breathe the Air! Don’t drink the water and don’t breathe the air! Lehrer’s song was intended as a response to warnings to American travelers about pollution in other countries. The warnings were, in fact, valid. Travel abroad can expose Americans to both contaminated water and polluted air. In this column, I am focusing on air. We usually associate unsafe air with pollution from manufacturing. Indeed, there is plenty of that. Two of the most polluted places on Earth are Norilsk, Russia and Kabwe, Zambia, both sites of giant smelting operations — but there are other causes. For many older Americans, the first awareness of the toxic effects of air pollution came with the Great Smog of London in 1952. Climatic conditions combined with airborne particles from coal burning killed over 10,000 people in just four days. Over 100,000 were sickened. Younger Americans remember the pictures of Beijing before the 2008 Olympics — that is, what could be seen of the city through the smog. Things have not changed for the better. The Chinese Ministry of Environmental Protection deems the air unsafe in Beijing more than half the time — a figure that is also true for the average air quality of the entire country. It is estimated outdoor air pollution in China contributes to over a million deaths per year. Most of the air pollution is caused by coal burning and by gasoline-burning vehicles. The former is thought to reduce the life expectancy of every person in China by more than five years. As to the latter—the life expectancy of a Chinese traffic cop is 43 years. It has been reported well-off parents often try to leave the country to spare their children from the bad air. The situation is no better, and possibly worse, in the world’s second largest nation where air pollution also causes over a million premature deaths each year—a 50 percent increase since 1990. Together, India and China contribute over half of the 4.2 million annual premature deaths due to particulate air pollution globally and about a quarter of the seven million premature deaths due to all air pollution. But all that is on the other side of the world. Surely things are not so bad here. After all, we have had federal laws addressing air pollution since the 1950s, and the more comprehensive Clean Air Act since 1990. But the World Health Organization estimates 92 percent of the world’s population lives in areas where particulate pollution alone or in combination with other pollutants are present. We are in that 92 percent. 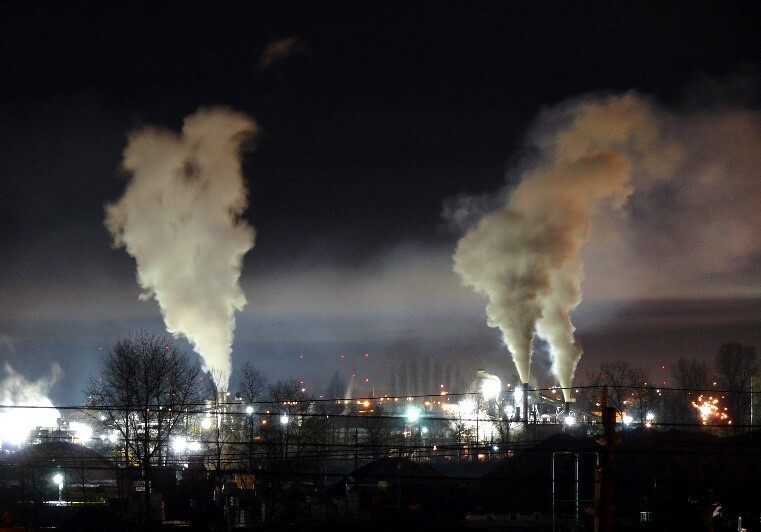 Recent studies have suggested that air pollution is implicated in such diverse health issues as respiratory disease, dementia, bleeding ulcers, heart attack, stroke, cancer, infertility, premature births, diabetes and even autism. A study of all 60 million Medicare beneficiaries showed their risk of death increased significantly with exposure to ozone and particulate matter in the air even at levels lower than those allowed by the Environmental Protection Agency. We have a serious problem, but one which presents an unusual opportunity. There is a degree of overlap between the pollutants which cause disease and those which contribute to climate change. This presents the opportunity for a public policy twofer. Cleaning the air can help save lives right now, and the planet for our children at the same time. There is even a small, but real, political opening. Those who may not be willing to look ahead to damages over generations may be more open to measures that can improve their health today. I am writing this in Norfolk Virginia. It is an ‘American City very pretty’ — blue waters, lush greenery, thousands of crape myrtles in bloom. I’ve never seen smog here. We don’t have much in the way of gazillion lane highways, but diesel-fueled trucks and trains with uncovered loads of coal bound for the port rumble through the city all day every day leaving abundant trails of particulate matter. Long as you don’t inhale!